The time is ripe for biology, machine learning and tech to come together beyond the basic FitBit step counters, says John Raiti, Ph.D., a senior research engineer and lecturer at GIX. We’re still on the forefront of seeing what the blending of biology and technology might be able to do. Wearing a tech-enabled device that can track your daily steps or keep track of your heartbeat during workouts has become something many of us take for granted. But we’re still on the forefront of seeing what the blending of biology and technology might be able to do, according to Nicholas Becker, a Ph.D. student in electrical engineering at UW and a Global Innovation Exchange student. Becker should know. He spent a year researching human-computer interaction, including how certain physiological signals can be trained as input from a user to a device, at Tsinghua University in China, one of the academic partners of the Global Innovation Exchange program. 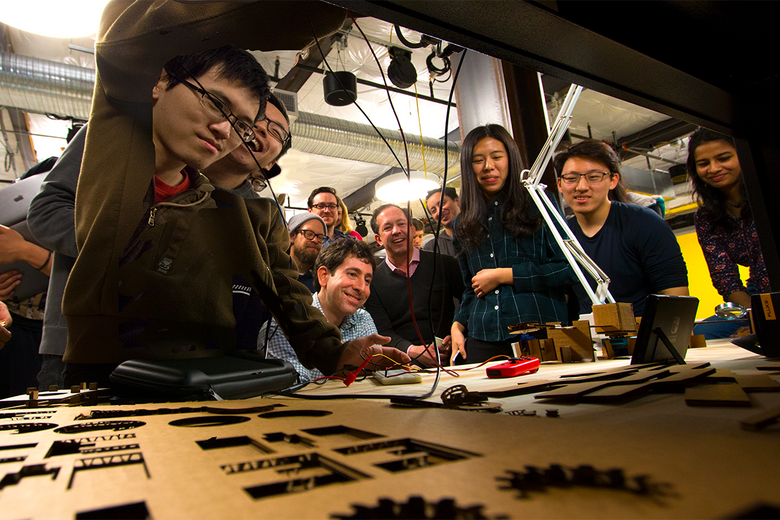 With foundational support from Microsoft, the program, which welcomed its first cohort in September, offers two graduate tracks: a 15-month Master of Science in Technology Innovation degree from the University of Washington and a 21-month dual degree option, which combines the MSTI with a Master of Engineering in Data Science and Information Technology degree from Tsinghua University in China. The Global Innovation Exchange is accepting applications for its third GIX Innovation Competition. The theme for this year’s competition is “Connected Devices” which includes areas such as IoT, wearable devices, intelligent hardware, virtual and augmented reality, ubiquitous computing, intelligent sensors and natural interactions. Prize: Up to $150,000, shared among the winning teams. When Becker heard about the Anu and Naveen Jain Women’s Safety XPRIZE, created to incentivize the development of “transformative technologies that can increase women’s safety and empower communities,” Becker was inspired. “Sometimes as researchers, you develop technologies for the sake of exploration and it was serendipitous that my research happened to align so perfectly with this call for technology from the XPRIZE,” he says. Becker took his research and, along with an interdisciplinary research and development team made up of three MSTI (Master of Science in Technology Innovation) degree students at GIX and a Tsinghua University postdoc, began to develop a product that could trigger an alert, via an inconspicuous wearable device, if a person is in physical danger — even if that person is restrained — by monitoring physiological signals like breath patterns. In November, the group was announced as one of 21 semifinalists. They’ll travel to Mumbai, India in April to compete for the million-dollar prize. 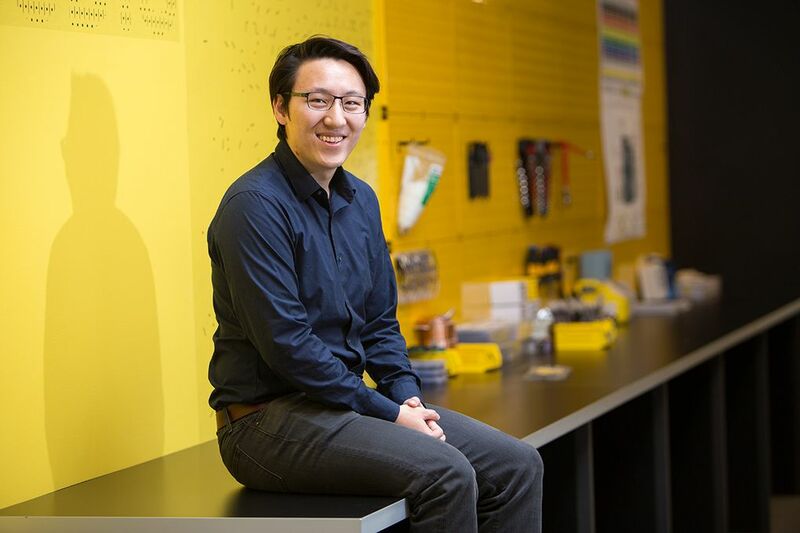 Nicholas Becker and his GIX team are developing a product that could trigger an alert, via an inconspicuous wearable device, if a person is in physical danger. 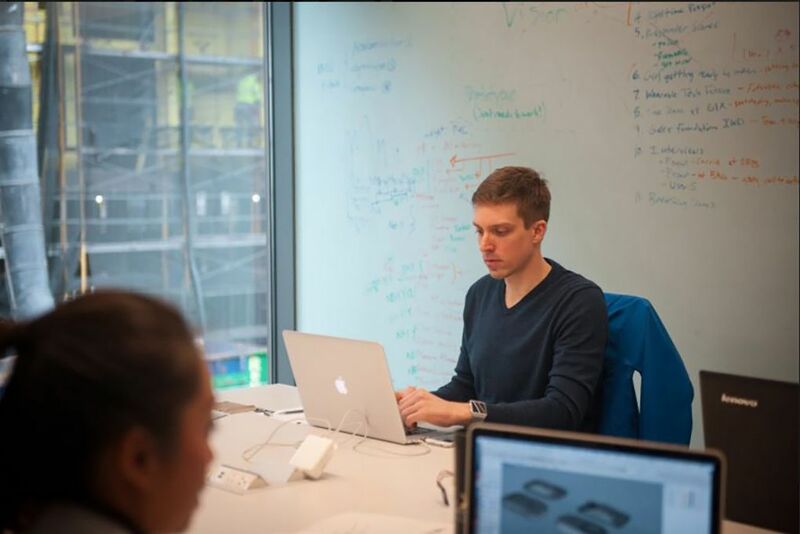 “We’re at a moment when we have this huge push of data to the cloud from smartphones and sensors have radically decreased in price — that’s all coming together to help allow the fusion of technology and biology and data in new and exciting ways,” says Raiti. One such idea? Using biofeedback and a wearable device to help mitigate miscommunications. Archisa Guharoy and Zoe Zou are members of the Women’s Safety XPRIZE team with Nicholas Becker. Sean Ker’s GIX team is working on a “Periodic Table” for communication across cultures. One of Ker’s teammates, Ibtasam Sharif, sees the potential for technology like this to help ease even slight miscommunications. “Some people, when they get excited they talk more, and another person might interpret that as this person being overpowering. But if that other person can detect that in fact it’s just excitement, not them trying to be imposing, you can comprehend the intent behind what’s happening and keep someone from getting annoyed or put off unnecessarily,” he says. Sharif, a computer scientist and entrepreneur who has worked in software and mobile gaming, says diving back into biology for this project, a subject he hasn’t studied properly since 2002, is opening his eyes to how much potential there is for crossover between his field and human physiology. The Global Innovation Exchange is a collaboration between universities and industry partners from around the world focused on developing leaders in innovation. The first two academic partners are the University of Washington and Tsinghua University, with foundational support from Microsoft.